It is that time of the year when all the spooks, goblins and black cats come out for the month. There are tons of store bought Halloween decorations but why not try making some of our own with one these easy Halloween decor projects. Most of these projects use things you can get from the dollar store very inexpensively, or else use items you have around the house. Get on your crafty clothes and give it a go! Decorate Your House for Halloween with one of these Neat and easy DIY projects. 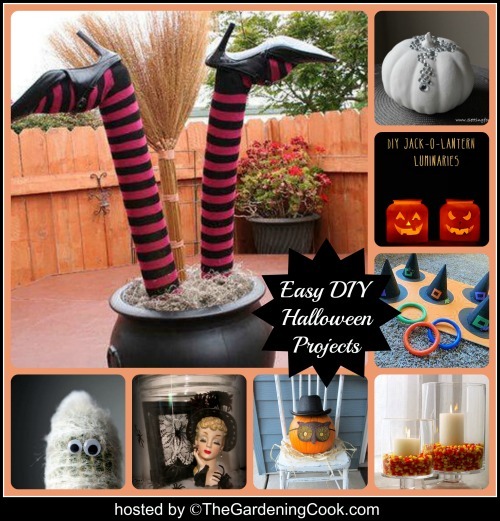 Cute Halloween witches feet planter project. 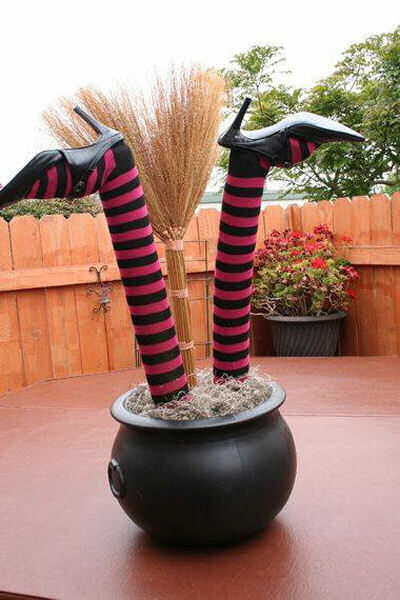 The DIY delight calls for a flea market cauldron, dollar store knee socks, Spanish moss, yard sale shoes and a broom. The total cost was a whopping $5.50! Idea shared from Halloween Forum. 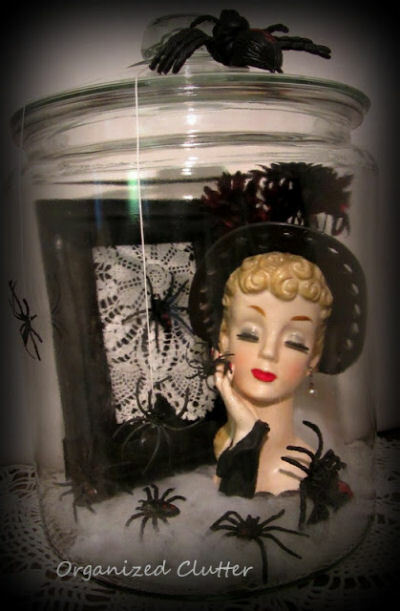 What a spooky way to use a 1960’s vintage lady’ head vase for a Halloween decoration. My friend Carlene from Organized Clutter calls this “The Black Widow.” Appropriate name, isn’t it? See her tutorial at Organized Clutter. This adorable mummy”ghost” could not be easier to make. 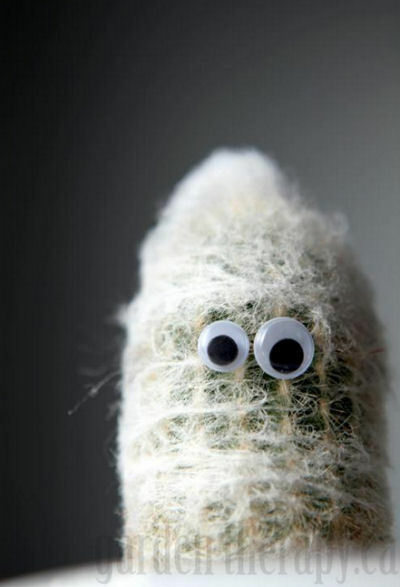 The cactus already as the “mummy hair covering!” Affix googly eyes with glue dots, and tweezers, and be sure to have bandages for poked fingers (double Youch!). See more from Stephanie at Garden Therapy. 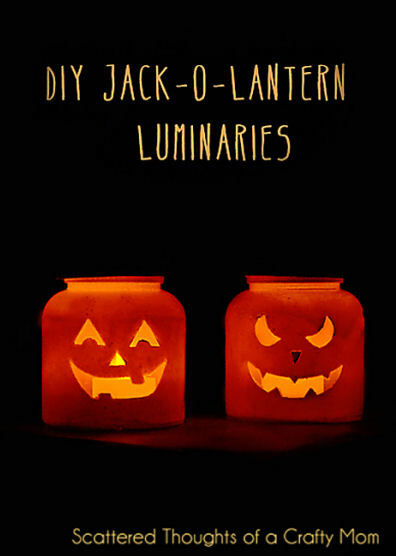 These cute DIY Jack O Lantern luminaries would look great on a path way to your house. They are easy to do and make use of old jars that you have saved up. See the tutorial at Scattered Thoughts of a Crafty Mom. Cute as can be. 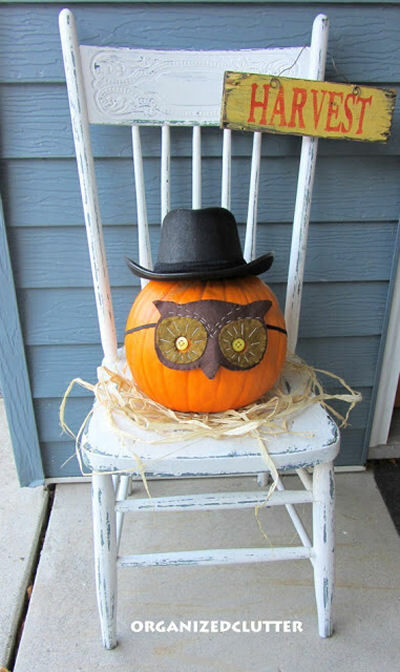 Mr. Pumpkin is all decked out in his felt mask and top hat. Project is easy to do and that pumpkin looks right at home on the chair. Would be so cute near a front door. See the easy tutorial at Organized Clutter. Looking for a cute game for a Halloween party, or just something to keep the kids amused? 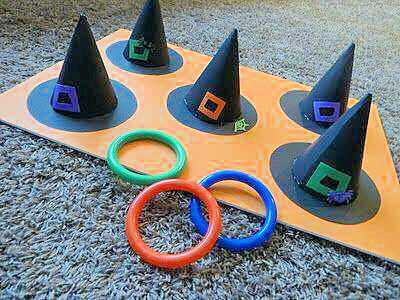 Try out this cute witches hat ring toss game. Easy to make and such fun. See the directions on Sometimes Creative. What could be easier than this idea? 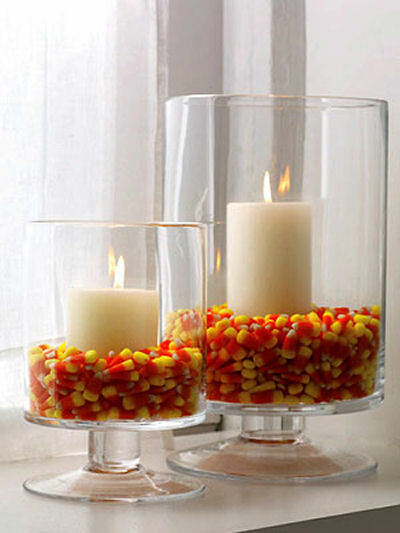 Just fill glass holders about 1/3 up with candy corn and insert a pillar candle in the center of each for a festive mantle decoration. Idea shared from Woman’s Day. 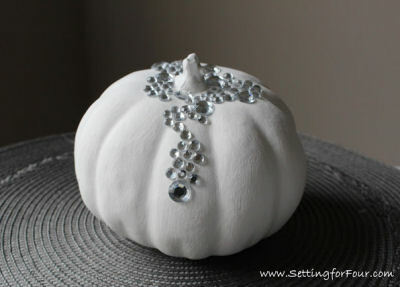 Such a cute idea that uses an artificial pumpkin, white craft paint and flat back acrylic rhinestones, all from The dollar store! See the step by step tutorial at Setting for Four.